Species description: : Large 11 ton herbivore with frill around 6.5 ft head and 1 nose horn with 2 Brow Horns off frill. 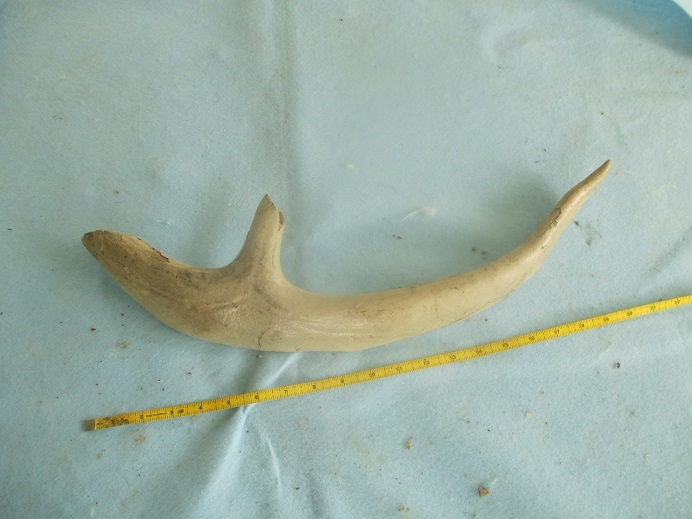 Species Description: It was closely related to Gray wolf in many features but it is not direct ancestor of any species today . IT became extinct 10,000 years ago with wooly mammoth . IT was larger than Gray Wolf averaging 5 ft in length and weighing 150-175 lbs . Legs of Dire Wolf was shorter and sturdier than those of gray wolf and the brain case was smaller to than the gray wolf. These were only found in California and Florida. Description and Rating: (1-10) **10** SPECTACULAR AMAZING LA BREA TAR PITS HIGHLY ORIGINAL HUGE DIRE WOLF 13.75” Skull . I would say this is one of a kind but I have two of them . I haven’t seen a La Brea Dire Wolf in years until I saw one this year that was 50% real and never saw one this good except the other one I have .. This is so wonderful I can’t find the words to express my amazement at the quality of this specimen. It is highly original and would estimate conservatively 80-85% teeth plus most of upper skull bone original .. The skull is amazing. It has only restore at small amount in back above condyles on sagittal crest, one zygo, little on back of lower jaws ,fill between pieces , and that’s it . The condyles are real. The teeth are amazing .Words just can’t describe this piece . It was so difficult to prep because normal air compression work would have caused the color to change as it was so fragile and the most difficult prep job a top prepper ever did . It took one year to complete. It is just spectacular . Even the zygos are mostly original on this animal. It has repair but teeth except incisors original , and little need repair on these . They are wonderful . This was of course from an old collection and was laying around for probably over 50 years before the government took over ownership . I’m so pleased to own this and regard it as in a league of its own.LaBrea just isn’t available anymore , and if anyone does have one they don’t sell it . Notice the patented dark brown color. This is the original color in an area of high concentration of oil as some are lighter. Well I can’t say more on this as words are not adequate to do this justice so maybe the pictures will. This is darker than my other one. em Rating and Description : 1-10 10 21” Long Unknown Cretaceous Tyrannosaurid 80 Million Years -This is a new species never seen before and no time to do papers so its so valuable . Foot is a Middle Metatarsal from One of World’s most terrifying creatures just before REX . Its REX like as I had 2 and sold for over 55,000. It looks almost exactly as REX but less price but probablu worth more as unknown species. It’s 100% original from the ultimate hunter with metal stand . This foot bone is the first I’ve had of an unknown Tyrannosaurud (Tyrannosaur) and is amazing . It was broken but glued back well with no resto plus a great display. It has great detail from a different area than some of my other material. This is so great and all present without restore, just crack fills. The location Texas is very rare for Cretaceous and usual for the area. This is a top piece and a must for a serious collector of the world most famous and awesome creature who ever lived. THis piece n one has so for people doing a tyrannosaur or meateater collection this is a must . This is a treat for anyone -especially a large collector . This was an adult large tyrannosaur -just as big as REX but just earlier.THis is just like a TREX metatarsal except a little earlier .and much rarer .My TREX this size sold for 5999 . THis is way rarer and same size . Imagine how big this meat eater was .huge with this only one foot bone -the rarest of rare middle metatarsal. This creature had 3 foot sets like TREX . This piece is priceless and any number can be put on as one-of-a-kind . No one in the world has this so its for tyrannosaur nuts who want everything this is a must . Rating and description1- 10 9.9 Only due to partial but most Ive ever seen whole . 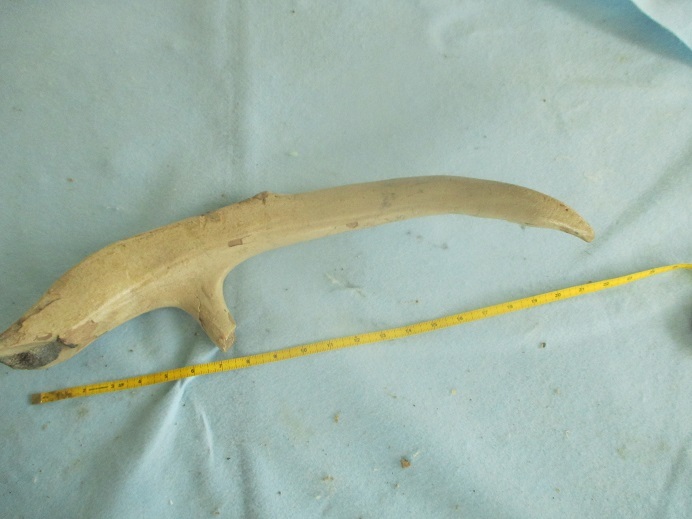 Exceptional Beautiful 100% Original Megalceros Deer Upper Skull with Large Part of Antlers. Nothing in the world except my American Lion is more special than this piece. This is a huge male. Its 4.4 ft wide and skull is 22” long plus an extra 22 inches with an add on . WOW I’ve wanted one for many years, and this is the most complete and best I ever saw . This has no restoration and the only repair was the horns placed on the skull. Sure you could wait for 20 years to see if one comes and then pay 50,000 at auction plus 20% so $60,000 as the last full one went for or buy this at way better cost and get the easy parts later cheaper as parts to add. You see the upper skull and large rack is in place and only the ends and the lower jaw-the two easiest to find are not there. These would and could be bought over the years as they do come. Anyway it is perfect on what is there and so beautiful found in a gravel pit in Germany recently this year. This is the first I ever had-in fact the best ever saw. It is a treasure for you herbivore fans and deer lovers, plus the deer hunters to show a huge rack. It is 100% original as I can’t stress that enough .I can’t get any more of these so better buy this one. No restore at all on this animal. At all Anyway this is a must if you want a full collection and a hard one to get. The person I bought this from is the largest dealer in Europe and have bought many fine items , and he said in 30 years on the business this is the finest specimen he ever had including only 1 full one in 30 years as that had lots of restore and sold for 40,000 20 years ago. So even if one was found this is the best you will ever have a chance to buy . I added a 22 ” left side of deer at end so all you need for a complete one is animal right side from back to have a complete one I also can get a lower for $2000 more YOu get a great price now for almost all and I can get all .